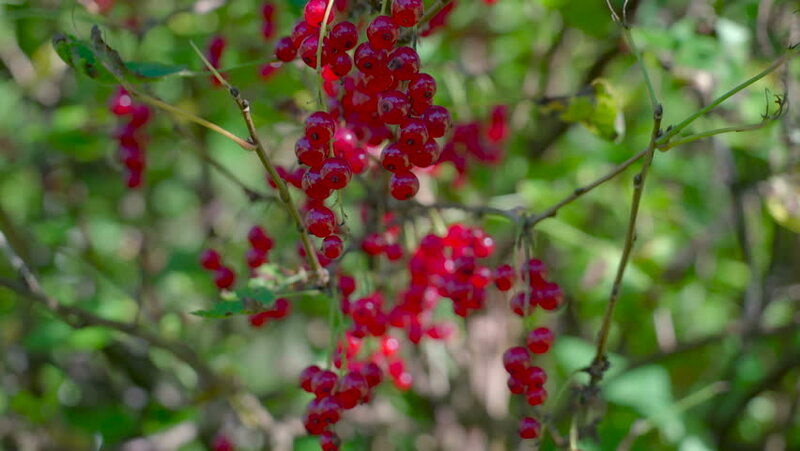 Another shrub tree with the red currant fruit. The redcurrant or red currant is a member of the genus Ribes in the gooseberry family. hd00:19Close shot of red elderberries near center frame on their stalk, moving less in the chill wind that has the background grasses and fireweed swaying madly.